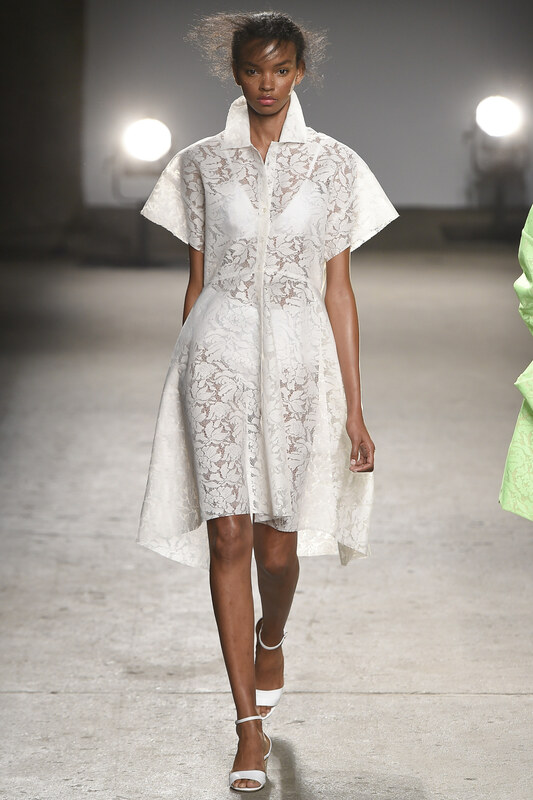 African-American designer Tracy Reese debuted her Spring/Summer 2016 ready-to-wear collection at Art Beam gallery on Sunday, September 13. The collection was filled with fluorescent, retro cut pieces. Compared to her Spring 2014 collection, the designer did not stop herself from letting loose with the structure of her pieces for 2016. 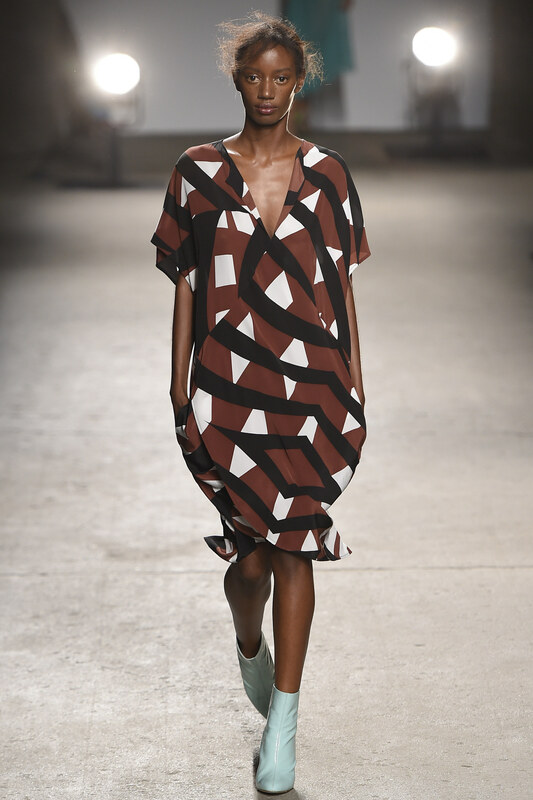 The 2016 collection is so fun, dramatic and gives me 70s disco on so many levels. I wish I was around to play dress up. Everything from the make-up to the shiny patent leather boots, the collection has already impacted and inspired my spring wardrobe. I love the funky patterns and bizarre shoulders featured in the collection. 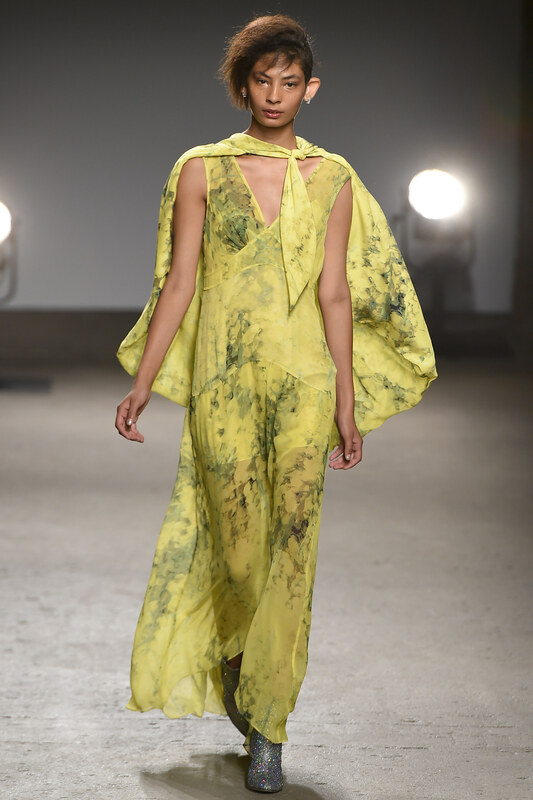 My closet is already filled will bell bottomed pants and chiffon tops, which does not compare to the silk seen on this runway. Fashion has it’s own calendar every fall. If you’re in love with fashion and everything that surrounds it, you set your own schedule around these events. I love to keep up with the shows on Twitter, because I have not yet made it to an event it. The MBFW always kicks off in New York. This years’ festivities start September 10. The Video Music Awards are just like any other award show to me. It’s produced by long running network MTV. The award show itself was not interesting to watch alone, if it wasn’t for the fashion that came along with it. My sincere regards if you thought Miley was funny or fashionable, because to me she was neither. I think MTV should try to be more racially sensitive, when it comes to letting their hosts appropriate black culture and and make light of issues that surround the black community. I don’t think Rebel Wilson’s joke about the police was funny. I don’t think the the clip of Miley, Tyga and Mike Will Made It playing with a Ouija board channeling a person, who is killed by the LAPD. It’s a better way to bring awareness to the #BlackLivesMatter civil rights movement, and a joke isn’t a way. Mr. Telephone Man There’s Something Wrong With My Line..
Fall is approaching in Oxford fast, and I’m totally prepared. Fall is my favorite season for fashion. Anybody can put together a sundress and sandals for the summer, but once the weather breaks you notice who has true style. I keep my wardrobe stocked and prepared for the season changes. Most pieces in my closet can transcend from one season to the next easily. This summer I wore halter tops that could be paired with anything. So, to take this Forever21 black halter top from summer to fall quickly, I paired it with a faux leather skater skirt that I’d gotten from ASOS a couple of years ago. Together they are magical. 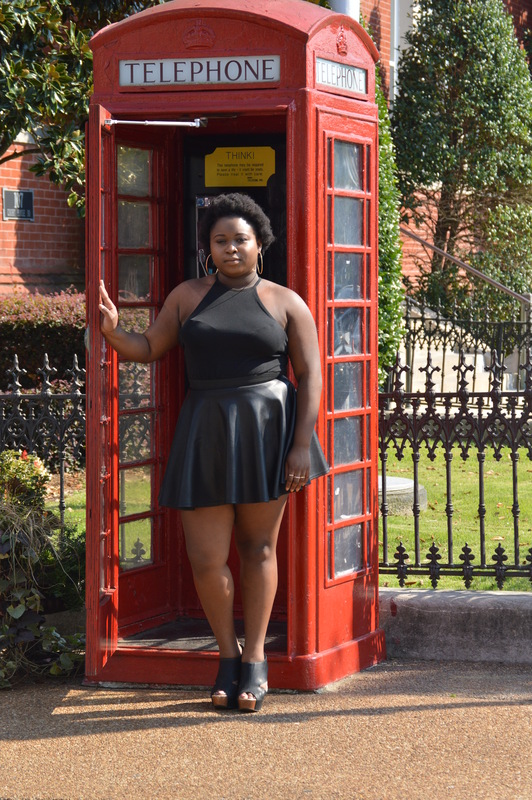 This faux leather skater skirt inspired me to bring out my leather Chinese Laundry wedges. These shoes helps every element in the look to mesh perfectly together. I add gold accessories to bring some light to the darkness. I’m wearing my hair in its natural state right now, so, hoop earrings are a must in jewelry box right now. I love how my hair adds to the look. Along with the location, I feel like it’s the 70s in London! 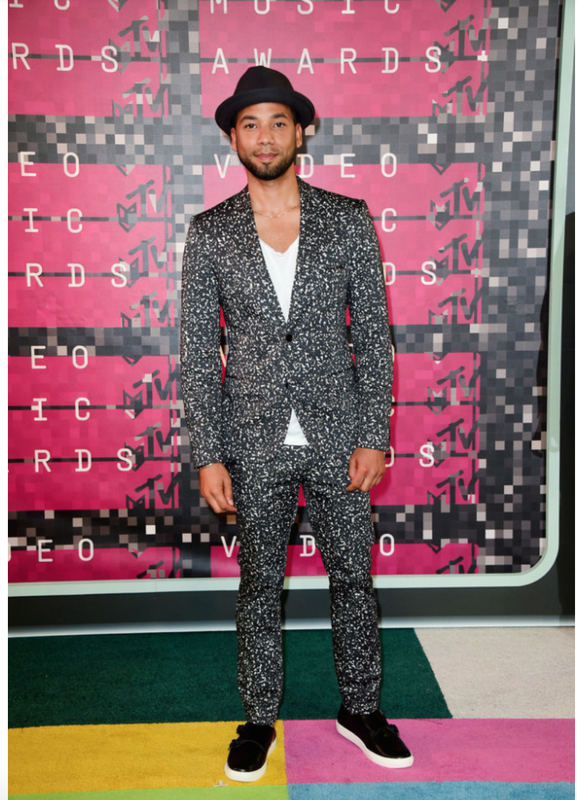 I pray this fall be filled with amazingly good style, and it’s captured by great photos. 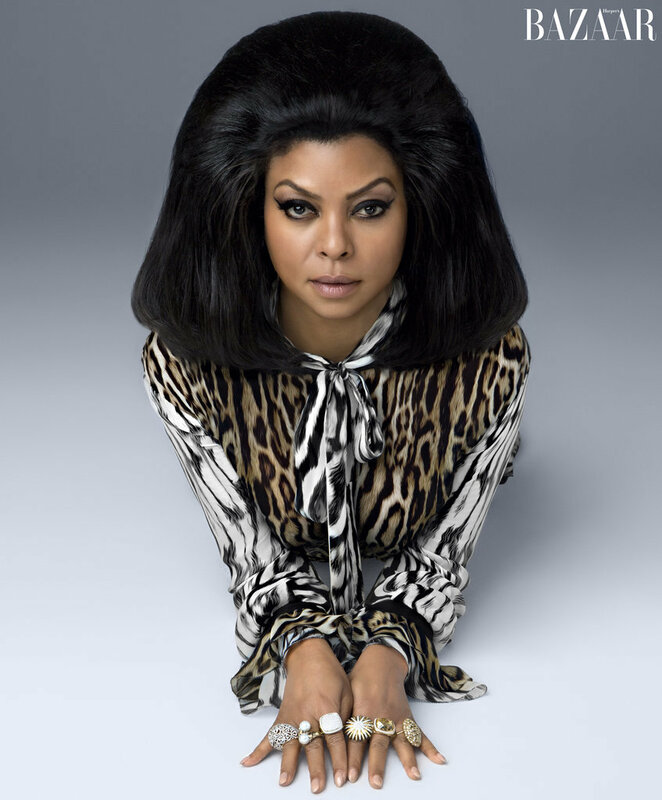 Come through Cookie Lyon, and Taraji P. Henson is one tough cookie!!! The Empire actress has not let us forget her this summer. She has graced covers and spreads in print, but she gives us life through broadcast. Empire is returning soon, and she’s teasing us from page to page with her amazing style and grace. Henson covered W magazine’s August issue and Harper Bazaar’s September issue. She heated up our summer! Now, she’s cooling us down with her fierce look this fall. Get your life with shots from these amazing issues! Black history is our history, educate yourself!